See more photos of this project, here. Designed by Terry & Terry Architecture. Photography by Bruce Damonte. See more photos of this project, here. 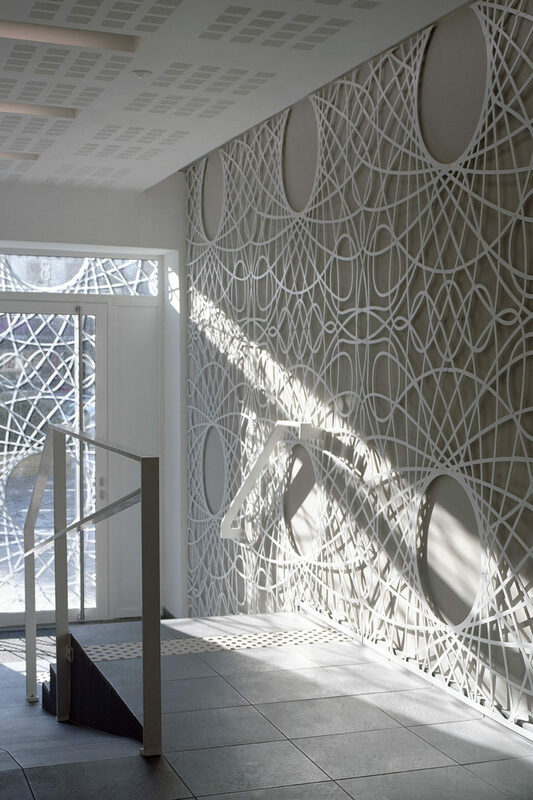 Designed by D’HOUNDT + BAJART architects & associates. Photography by Maxime Delvaux. 3. In this modern bathroom, the concrete walls and details, like the white standalone tub, floating double vanity with ample storage, and large backlit mirror, give the bathroom a contemporary feel while at the same time give it a warm and inviting look. 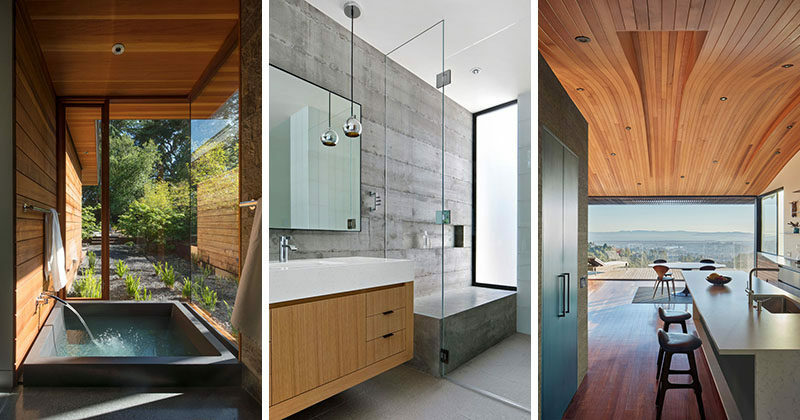 In the shower, there’s a large concrete bench to match the concrete walls, and a glass shower screen keeps the vanity dry. See more photos of this project, here. Designed by arcanum architecture, inc. Photography by Bernard Andre. 4. In this modern tiny house, the couch in the living room can be transformed into a queen-size bed by simply extending it out and part of the couch frame becomes bedside tables. See more photos of this project, here. Designed by Jeff Wilson of Kasita. 5. 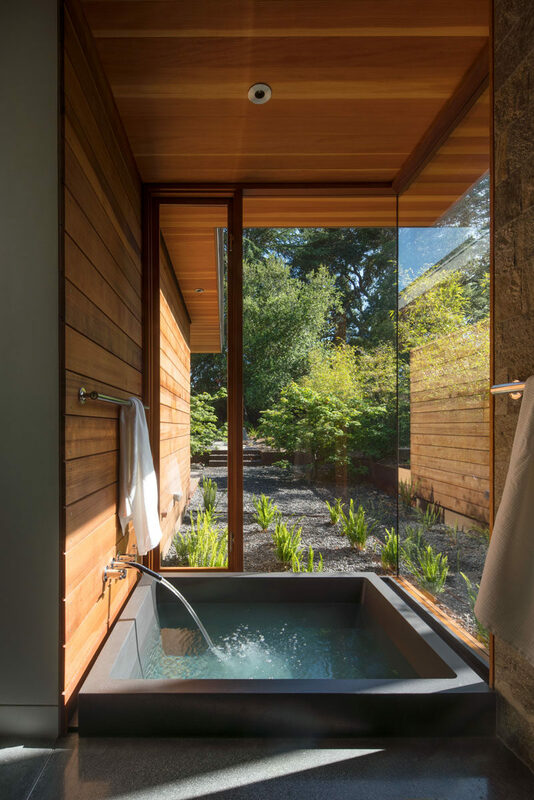 In the ensuite bathroom off the master bedroom in this modern house, is a private spa that’s sunken down into the floor and looks out to the garden through the floor-to-ceiling windows. See more photos of this project, here. 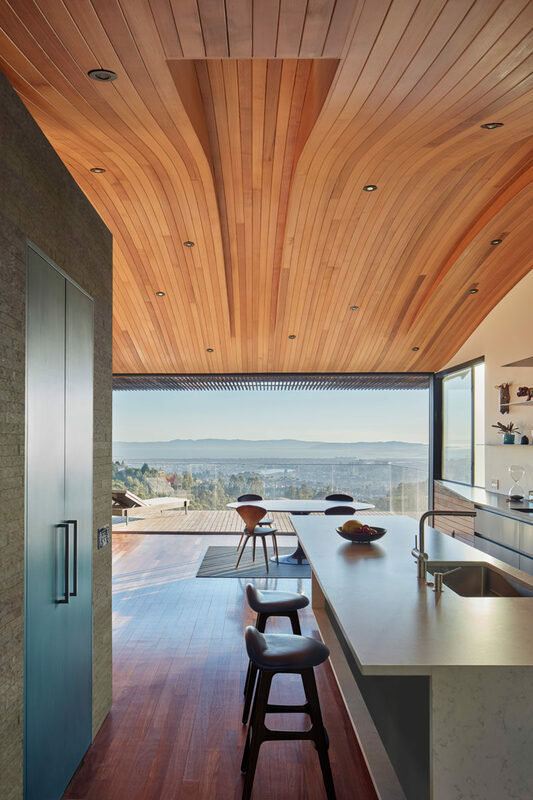 Designed by Bohlin Cywinski Jackson. Photography by Nic Lehoux.